The Gonzaga Bulldogs cite great team chemistry as one of the keys to their outstanding men’s basketball season. Of course, great chemistry on the court often translates into great laughter at a teammate’s expense off the court. Four of the most prominent Bulldogs — seniors Elias Harris and Mike Hart and sophomores Kevin Pangos and Gary Bell, Jr. — let loose during a wide-ranging question-and-answer session. INLANDER: Who’s the funniest guy on the team? 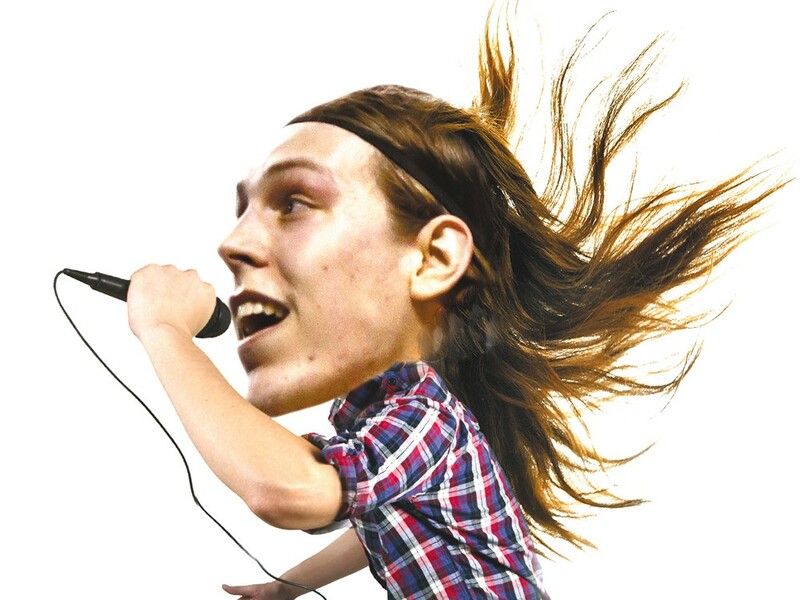 HARRIS: Kelly [Olynyk], because he’s the biggest clown around. He actually films himself doing karaoke on his own at home, just on his laptop, singing to different kinds of songs. Then he sends it to everybody. He’s so proud. HART: Kyle [Dranginis], because he’s just a constant goofball. Doing all sorts of voices, just screamin’, acting like a 5-year-old. PANGOS: Kyle can make some of the most unique sound effects that you can ever imagine. He can make, like, bird noises. Who’s the worst dancer on the team? HARRIS: Sam [Dower] … and Drew [Barham] thinks he’s a good dancer, but he’s awful. We all say it. You know before the game, we do our little huddle, and somebody gets in the middle? We all voted that Drew’s never going to be back in the middle. He did that once, and it was embarrassing, so he’s out. Who’s the worst dresser on the team? HARRIS: Kelly. Nothing matches. It’s like he jumps into a closet, and whatever he’s got on is fine with him. HART: Kelly, just because you don’t understand what he’s wearing. It’s unique every day. PANGOS: Kells … Guy [Landry Edi] has that French whatever-it-is. His outfits are pretty on point. Drew has that clean-cut, pretty-boy look. Elias probably thinks he’s the best. Which coach do you least want to anger? HARRIS: Coach Giacoletti [assistant coach Ray Giacoletti]. If I had to give him a nickname, I would call him “Tense.” I mean, I like Coach Ray, don’t get me wrong, but I don’t think he can actually relax. It’s always like he’s on the edge of exploding at any time. PANGOS: Coach [Mark] Few. He’ll just tell you how it is. He won’t beat around the bush at all. Just tell you straightforward, whether you like it or not. That’s his job. If you had a college-age sister, which teammate would you be most comfortable with her dating? HARRIS: First of all, that would never, ever happen. I would not allow it. But if it was a do-or-die situation, I would say Mike Hart, probably. He’s Mr. Nice Guy. Mike Hart, I would trust him. But once again, I would not like to see that, and it’s not going to happen. HART: Drew. Clean, nice. He’s got it put together. PANGOS: Mike Hart. Everyone probably said that. Drew would be the other one. They’re just high-character guys. They’re guys that are well respected, treat people the right way. All the guys on our team do, but especially those guys. They’re high-class. Don’t tell them that, don’t blow up their heads.